9.10€ Bottle 75 cl Tax incl. Coming from different vineyards with an approximate average of 40 years old on clay-calcareous soils, it has remained 24 months in American oak barrels previously envied. During this period, 4 racking operations have been carried out (one every 6 months) using the traditional “Barrica a Barrica” ​​method, thus achieving a decantation of grains by gravity in a natural way and avoiding the use of filters and clarifications, thus maintaining the maximum wine personality After that, he has rested a minimum of 18 months in the bottle, acquiring the balance and structure necessary to obtain a great wine. Color: Intense cherry, saffron-like reflections, slightly orange edging. 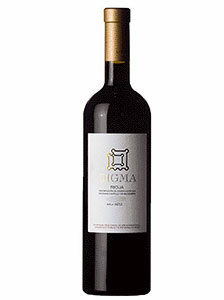 Aromas: Deep, ripe red fruit, toasted notes and vanilla, jam background. On the palate: Fresh fruit combined with a light oxidation, tasty, soft, spicy, balanced, pleasant tannin. Optimum temperature of consumption: 17º to 18º C.